Frugal & Fabulous: Review & Awesome Discount Code: YMI Jeans! Review & Awesome Discount Code: YMI Jeans! I love YMI jeans! I hosted a review and giveaway for a pair of their jeans about a year ago and have been a huge fan ever since! They offer a wide variety from trendy skinny jeans to classic bootcut jeans to capris and shorts! 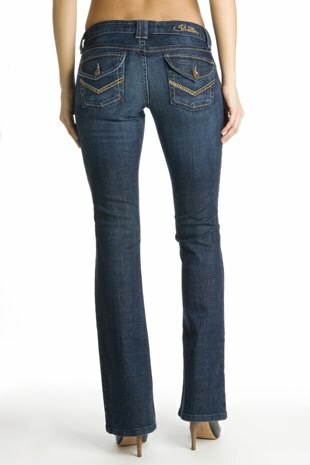 If you're looking for the perfect pair of jeans - chances are YMI has them! YMI is also great because they are a junior jean but without the overly cutesy details. They carry sizes 0-13 as well as plus sizes 14-22! These jeans are comfortable, classy, and they wash well! They are structured without being stiff and they have some really pretty rhinestone detailing on the front and back. The bottoms of the jeans have a nice bootcut style flair (that will never go out of style!) and the legs of the jeans fit well without bunching or pinching. I love YMI Jeans because they are versatile and easy to dress up or down. In the past few weeks I've worn them to work (hello casual Friday! ), out for drinks, to a party, as well as running errands and to Home Depot! The Rhinestone Back Pocket Bootcuts currently retail for about $48. But for the next 48 hours, you can get these bootcuts for 40% off!!! Just use code YMIFAB at checkout! What do you think? Have you worn YMI jeans before? LMK!